We have our list of Top 10 free games, but those are mostly made by professional software studios such as Electronic Arts, Splash Damage or Monolith, among others. That is why today we focus on the independent developers, presenting you some of the most amazing free PC games ever created – it’s our Top 10 Best Free Independent Games. 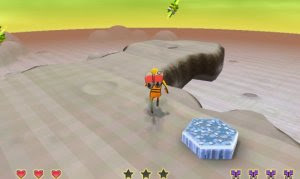 Although these free games may feature familiar concepts at first, there’s something unique among each one, as you may already have experienced. They certainly share one aspect: an incredible originality. Play them with an open mind, enjoy them, and get ready to be amazed! Cave Story is an incredible side-scrolling platformer game, considered a mix between Castlevania and Metroid. It features an engaging storyline and incredible artwork, so much that a Nintendo Wii version is in the making. A truly mighty and original puzzle action game that involves a pencil and paper, a color printer and a web camera. There's quite nothing like it! If you don't have a color printer, web camera, or spare paper, you can still enjoy Mightier by using the in-game mouse drawing interface. A wonderful point and click adventure game that looks and sounds (with full quality voiceover) so professional you won't believe it's free! The art style is evocative of the 1960's and the story and puzzles flow so well that you'll want to finish it quickly. If you're a fan of the genre, you won't forget this game so soon. 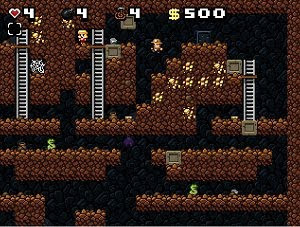 N is an action platformer reminiscent of Lode Runner. The physics simulation that your Ninja possesses makes the game, turning each map into a puzzle. 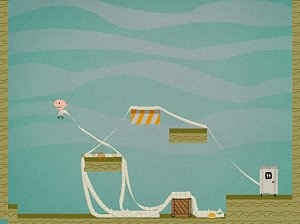 N is a highly addictive and often frustrating game that has spawned a commercial version. Narbacular Drop is an environmental puzzle game made by the creators of Portal, and features a similar gameplay. The portal system, combined with a basic physics simulation allows for a huge level of interactivity. The end result is a fun, original puzzle game with unique and intuitive game play. Tumiki Fighters is a small shooter game with a twist: as you blast the enemy aircraft into pieces you are able to collect their shrapnel which then adds to your defensive shield. 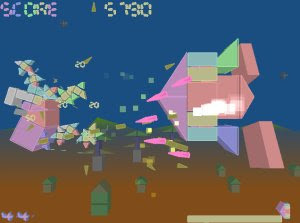 It's sort of a R-Type meets Katamari, and apart from being fast and furious, it's also an extremely difficult game. 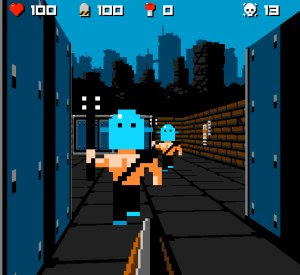 8bit killer is a first person shooter styled to resemble an 8bit NES game in look and feel, and it succeeds. The 32x32 pixel textures, 64 color nes palette and 1bit sounds make this game look like an early 90s game. It's great for a throwback to the classic games, full of references. 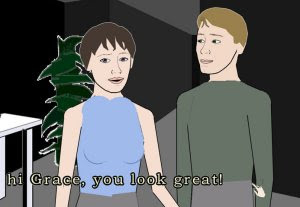 More than a game, Façade is an artificial intelligence-based art/research experiment in electronic narrative. This is an interactive drama where events unfold right before our eyes, and we can try to make things different. 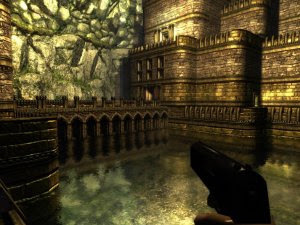 It requires several playthroughs to fully appreciate the work in Façade. A small but charming game about Jimmy and what he mostly holds dear in his life - his toilet paper. The premise is as unlikely as funny, and the physics based gameplay is very interesting. It won't take long to finish, but you won't regret it. A free platformer with a twist: every time we play the cave layout is different. 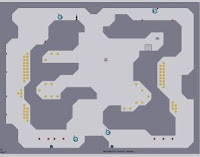 It's like a cross between Diablo (in the random generated maps) and Rick Dangerous (in style and gameplay). And it's all completely and utterly awesome!